Profoto continues to refine their range with an enhanced version of the B1 battery-powered monolight, the Profoto B1X 500 hire. 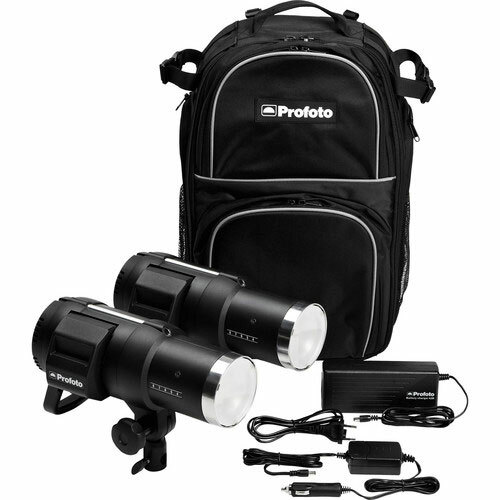 The Profoto B1X 500 hire AirTTL 2-Light Location Kit includes two B1X flash heads with 80% brighter LED modeling lights and batteries with 50% greater capacity (325 full power flashes). And also with High-Speed Sync that’s able to use the full 9-stop power range. Also included are an AC battery charger, a car charger, and a Backpack M to store and transport it all. All of the familiar professional and convenience features we’ve come to expect from Profoto are onboard. The Profoto B1X 500 flash hire has the same dense, durable polymer housing, integrated 77-degree reflector, built-in receiver compatible with Air Remote TTL remotes, and intuitive highly visible controls and display. AirTTL remotes are made for Nikon, Canon, Sony, and Olympus cameras. Busy photographers can literally set up their lights, slip the optional Air Remote TTL-C, TTL-N, TTL-S, or TTL-O remote onto their camera’s hot shoe and point-and-shoot without taking a reading and testing. Composition, posing, etc. is of course up to the photographer, but time after time, the Profoto B1X 500 flash hire will give you a first shot exposure that’s a keeper. Profoto B1X 500 hire AirTTL 2-Light Location Kit hire is available for rent or hire from RENTaCAM Sydney.